Ensure the sustainability of your nonprofit through education, collaboration and advocacy. INIE offers a variety of classes, boot camps, workshops and networking events that can boost productivity, engage staff and benefit your organization as it moves towards the future. Click through the above digital catalog for a complete listing and description of our 2019 programs and events. Participation in our educational classes will help you and your organization not only succeed, but THRIVE. There are four education tracks (Marketing, Fund Development, Volunteer Leadership and Team Development) that were created based on research and survey results from those leaders in the nonprofit sector. Classes are tailored to your role in the organization; Staff [S], Executive Director/CEO [ED] or Board of Directors [B]. We also include classes that would appeal to Start-up Nonprofits [SN], Entrepreneurs [E] and all sectors [A]: Nonprofit, Business, Government and Education. Select the track that reflects your role or enroll in classes from every track for a complete perspective of operating a thriving nonprofit or social enterprise. Join Kelly Otte, MPA and Alyce Lee Stansbury, CFRE, co-authors of ‘Notes on Nonprofits’, for a fast-paced, candid discussion of best practices for high performing boards. They will bring their combined 50+ years of experience working for, with and on nonprofit boards to help your board better understand its role, function effectively, and achieve its goals. This session will provide practical, real-world strategies to create and nurture a culture of success within the board. All board members welcome. Executive Directors, Board Chairs and Chair-Elect strongly encouraged to attend together. Staying Focused and Engaged: Tips on Time Management Discover the range of skills, tools and techniques used to manage time when accomplishing specific tasks, projects and goals, as well as, how to deal with the “Thief of Time,” procrastination. Effectively Communicating in the Workplace: Communication is vital to business success. Learn different communication methods, barriers to communication, effectively communicating across generations, gender and with diverse work groups, and becoming a better communicator. Running a nonprofit is hard work. It requires specific skills and expertise to make the organization successful. INIE is here to help you tackle that challenge. Our 7-hour boot camps are designed to offer an expansive overview of the key components to nonprofit operations. Welcome to Nonprofit 101: INIE’s 1-day boot camp designed specifically for those wanting a focused overview of nonprofit operations. Whether you are considering the idea of starting a nonprofit or recently launched a nonprofit, this boot camp will equip you with the necessary information and resources to kick-start your new adventure. Topics include: Formation and Compliance, Accounting and Budgeting, Communications, Fundraising, Board Relations, and Strategic Planning. Being an Executive Director (ED) is rewarding but it’s a big complicated job. EDs are required to have expertise in multiple areas and the learning curve can be steep. Spend some time with other EDs and your facilitator, Kelly Otte, to learn tips on how to be a high performing ED in a high performing organization. Kelly has a background in nonprofit management including 24 years as an ED in Tallahassee and 5 years teaching nonprofit management at Florida State University. Her teaching style includes using humor and examples of when she’s got it “really wrong” and how to make it right. Kelly will explore board governance, leadership and management, financial management, community relations/advocacy and self-care. Although all EDs are welcome, this course will primarily benefit EDs in their first 3 years of being in their position. This is a two-day course with a life-long impact. Seating is limited. Nonprofit management can be daunting, but you don’t have to go it alone! 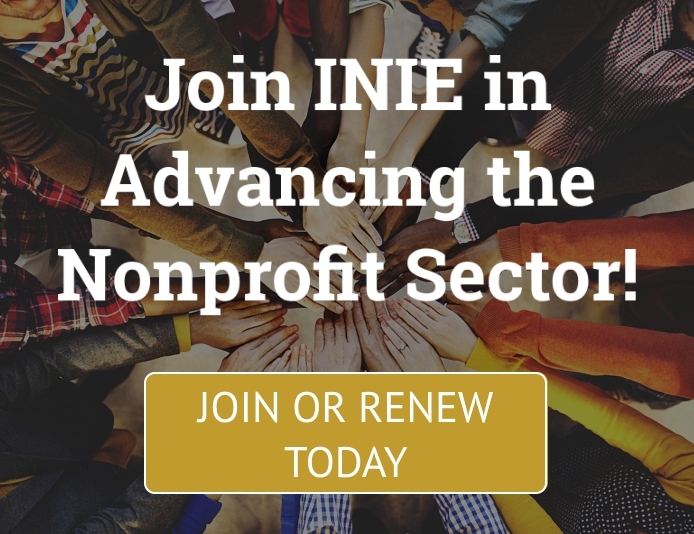 Join INIE for a 1-day Executive Director Boot Camp with a variety of content experts to teach an overview of board governance, leadership and management, financial management, and community relations/advocacy. The facilitator, along with other experts, will discuss some of the hidden pitfalls of nonprofit management as well as provide new insight, knowledge, and tools to help Executive Directors and Presidents/CEOs succeed. The Skills Training Boot Camps will be offered according to organization budget ($0-$200K and $200K+). 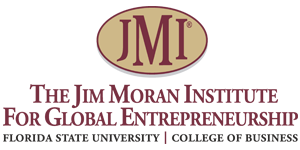 Graduate and undergraduate students from Florida State University’s Social Innovation and Entrepreneurship Initiative will be hosting an interactive workshop tailored to social entrepreneurs in the start-up phase, local to Tallahassee. Workshop participants will enjoy an engaging morning collaborating and sharing with other social innovators and dynamic presenters that bring immersive experience in all aspects of social innovation and entrepreneurship; from managing Domi Station’s Start Up Grind, to creating their own successful social enterprises and studying in diverse social innovation programs in Bali, Indonesia. The purpose of this workshop is to provide participants with “next-steps” in developing their models and launching their impact! Throughout the workshop attendees will be immersed in market research, identifying their uniqueness, and learning more about those they serve. In addition, attendees will explore their personal character as social innovators, who are empowered to make significant changes in society. Lunch will be provided. Held every other month, these technology-driven classes will equip nonprofits with the latest information on being an innovative and efficient organization. Sessions will take place weekly during the month to ensure a complete understanding of the lesson and skill. Session topics include Collecting and Using Data to Make Better Decisions, Cybersecurity: Protecting Your Organization Information and Those You Serve and Cost-saving Tips on Technology. Con•flux /’kän, fləks/ is a one-day retreat to build camaraderie, teamwork and skills between the Nonprofit Executive Director and their Board of Directors Chair (or Board-Elect). The event will kick-off with a team building challenge and reception the evening prior to the one-day retreat. In one-day the goal is to build a bond between both leaders to ensure effective communication, efficiency in operations and a unified vision for moving the organization forward. This free, after-hours networking event presents a great opportunity to connect with others from across the social sector and to upgrade your professional and personal networks. Registration is open to all nonprofit staff, board members, donors, volunteers, and supporters. Just bring your business cards and a genuine desire to connect! All events take place from 5:30 pm – 7 pm. The event is FREE and open to the community. The mixer serves as “speed dating” for those who are interested in serving on the board of a nonprofit organization. Both existing and rising leaders in the community will have the opportunity to mix, mingle and “court” participating nonprofits for the mutual opportunity to serve. This event is offered exclusively to INIE Members-organizations who are seeking board members. The event will take place from 5:30 pm – 7 pm. Accelerate! is a 10-class series designed to support nonprofit administrators and board members interested in implementing or growing an earned income stream within their organization. The series will take place over 9 weeks, and each class will last approximately 3 hours. In between classes, participants will complete assignments designed to advance their enterprise, and will also have the opportunity to engage one-on-one with course instructors/mentors. Participating organizations are encouraged to bring two attendees, and the course is limited to 10 organizations in total (max 20 people). The registration fee for organizations is $100. The nonprofit that wins the "Philanthro-Pitch" will receive $5,000 in seed capital to support the launch or expansion of their organization's earned income enterprise. A second place award of $3,000 and third place award of $2,000 will also be provided. Winners will be announced at the INIE Sector Forward Conference on August 9th. This opportunity is reserved for INIE members. The Certified Public Manager® program is a nationally-recognized program for training and developing public managers and supervisors. It is currently offered in 38 states and by the federal government. The primary goals of the program are to professionalize public management and improve organizational efficiency and effectiveness. Florida's CPM Program is administered by the Florida Center for Public Management, which is part of the Askew School of Public Administration at Florida State University.